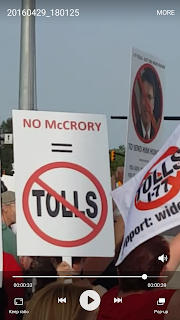 Almost exactly 1 year ago, anti-toll activists first gathered for a protest at the Exit 28 bridge over I77. Friday evening they gave a repeat performance as roughly 200 people gathered and showed the movement is still going as strong as ever. 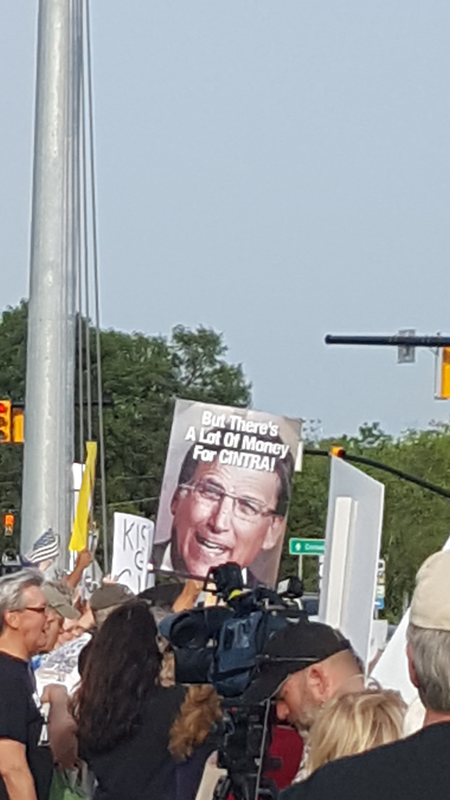 The protest comes as multiple bills have been filed in the legislature this week to cancel the contract with Cintra - the Spanish firm hired by Governor Pat McCrory's NCDOT to build the road. Should the LNTC stay, or should it go now?!?! That was definitely the theme of the discussion Tuesday night at Davidson Town Hall around the fate/future of the Lake Norman Transportation Commission (LNTC). 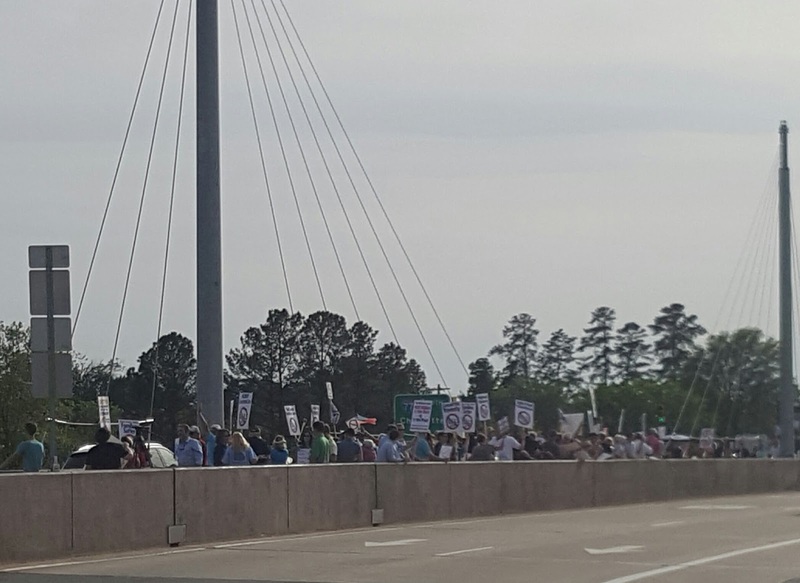 Readers will remember that back in February, the LNTC was thrown into turmoil when Huntersville unilaterally decided to withdraw from the organization. That prompted similar withdrawals by Cornelius and Davidson to avoid being on the hook for more money to fund it. At Tuesday's meeting Mayor John Woods and Commissioner Brian Jenest put on the hard sell for keeping the LNTC with Woods claiming it provides "expert" advise. The great bulk of the funding for the body goes to pay the Executive Director's salary. Bill Thunberg currently fills that role. Thunberg is the former Mayor of Mooresville and a jeweler by trade. He is NOT a career transportation "expert". In a long soliloquy which he certainly thought would support continuing the body, Commissioner Jenest instead described a body designed to fail when it comes to controversial projects like I77 HOT lanes - the most important transportation decision in the region since the creation of I77 itself. That's because the LNTC won't take a position on an issue unless it is unanimous. According to Jenest, the LNTC was never intended to manage smaller issues for the individual towns. That combination of ineffectiveness on large issues and non-inolvement on small issues should make commissioners seriously question any future funding for the body. If the LNTC reconfigured as an actual planning body with paid professional staff, then splitting the cost among the towns would make sense. Short of doing that, it's time for the indecision to stop and for the LNTC to go. #Cornelius to the left of #Davidson on property rights? Cornelius elected officials have a well earned reputation for being a fairly conservative bunch. Among similarly sized communities, the town has long had one of the lowest municipal property tax rates in the state. At the same time, it provides high quality services. That’s an indication of strong fiscal discipline. Town Commissioners, if not the Mayor, have also been some of the leading elected voices against potential regional boondoggles like the Red Line Commuter Rail and the I77 HOT lanes. So, it’s peculiar to witness the town involved in a brouhaha with citizens and landowners over a rezoning request that has similarities to a recent example in Davidson – it’s more leftward leaning neighbor to the north. Those two decisions would be Classica Homes development currently being discussed in Cornelius and the Narrow Passage development approved last year by Davidson. Development company Classica Homes wishes to build 40 age restricted townhomes on roughly 9 acres off of land off of West Catawba Ave. In Davidson, developer Karl Plattner looked to build a similar number of homes on a large parcel in Davidson’s rural area. In both cases, town Planning staff opposed the rezoning requests because they didn’t perfectly conform to previously approved plans. In both cases public feedback was significant with citizens packing the public hearings and sending numerous emails. There were significant differences though. In Davidson’s case, opponents were trying to all but eliminate any real development in the rural area. 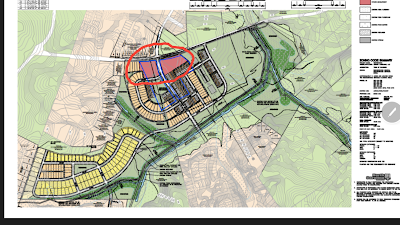 In Cornelius, it appears the Town is pushing to reserve land for more intense commercial development at some undetermined point down the road. 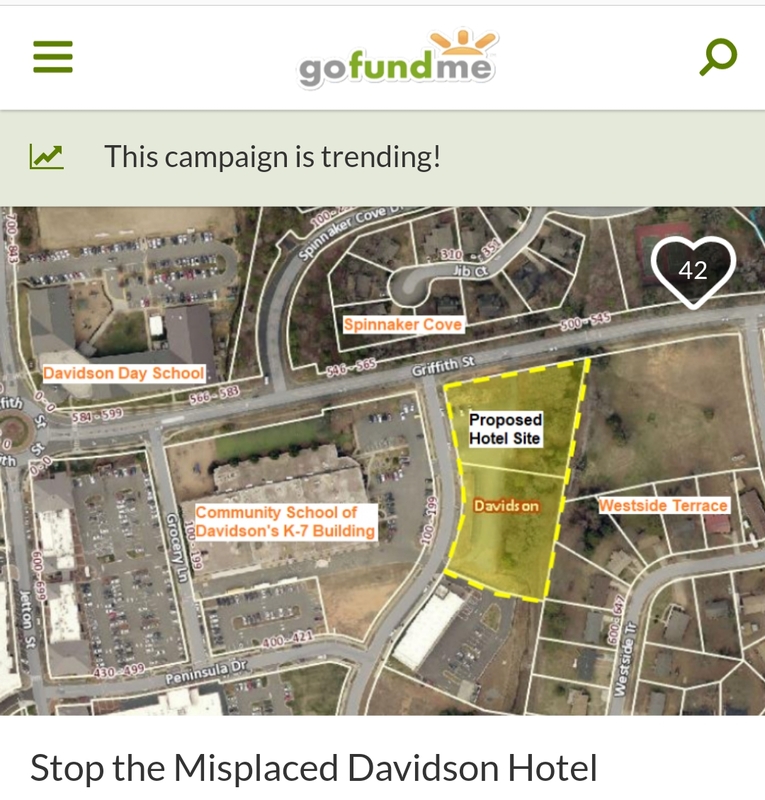 Also, in Davidson the citizen led Planning Board opposed the rezoning along with staff, and there was some element of the public who opposed the project as well. In Cornelius, the citizen Planning Board actually supported Classica’s request and public feedback from the neighbors most impacted also appears unanimous in its support. You'd think the Davidson decision would have been the hard one, or at least the closest vote, wouldn’t you? Ultimately however, the Davidson Board recognized they should respect the landowners’ property rights and allow what was clearly a reasonable plan to go forward. They unanimously approved the rezoning. The Cornelius vote appears to be the closer one. With Commissioners knotted at 2-2 during their last meeting with one Commissioner absent, they decided to kick the final vote until their next meeting on May 2nd. 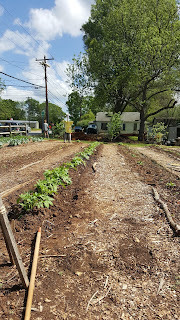 Unlike what happened in Davidson, the utter reasonableness of the proposal by Classica and the land owners appears to have been lost in the discussion. Even if the proposal does not meet exactly what the town says it wants which is more commercial development, it’s hard to deny it is reasonable. It’s reasonable compared to other residential possibilities or even the town’s desired option of commercial development. It will put less strain on area roads as well as area schools. It’s reasonable when looking at growing the tax base compared to what could be built there by right already. Forty high end townhomes will provide more revenue than the 16 homes already allowed. Finally, and most importantly it’s a reasonable option for the town that also treats the landowners fairly – landowners who have been trying to sell this property for decades. In Davidson, it was the reasonableness of the proposal which ultimately won over that Board. It's amazing the power a little video can have. Late last Thursday we posted this piece with three disturbing videos showing incidents on Davidson-Concord Rd involving bad behaviour by inconsiderate drivers around school buses. 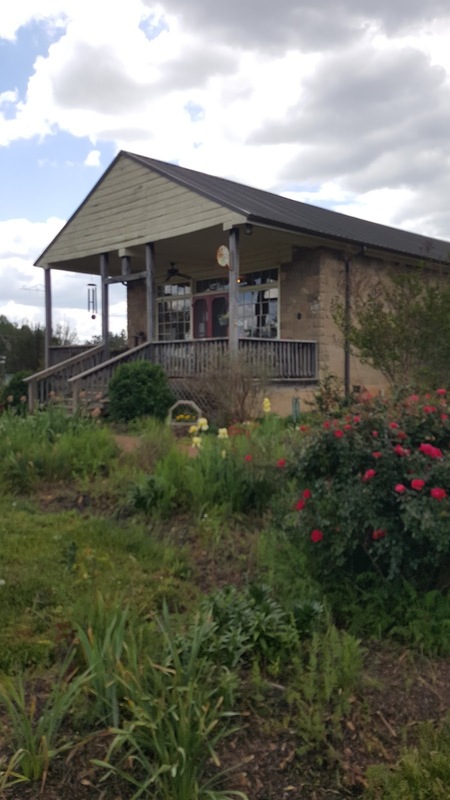 On Friday, after one reader saw the post, this event encouraging residents to attend the regular Davidson Board meeting on May 10th began circulating around cyberspace. The invite encourages people to speak out before tragedy ensues (again) in this area. Readers will remember the skateboarder who was involved in a serious accident at the intersection with Robert-Walker Drive a few years ago. 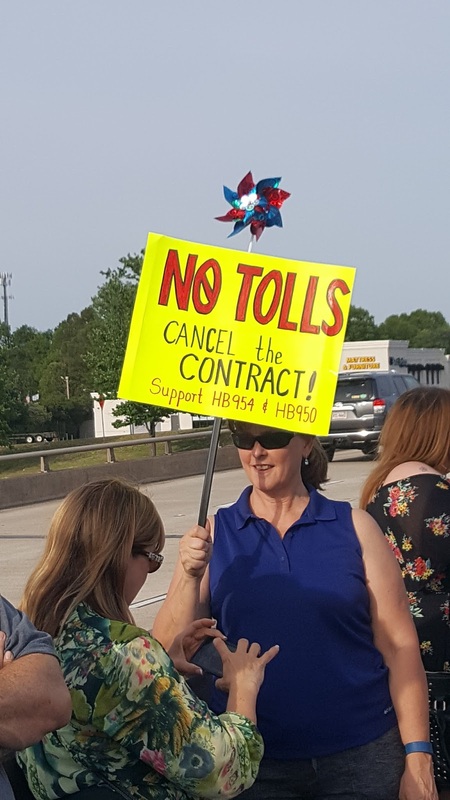 After several hundred page views and watching that invite circulate, aShortChronicle has learned that by Monday an official request was made to get this subject on the agenda for May 10th and a representative from NCDOT may be present. Here's hoping that's true. Otherwise it will likely be an extra long "public comment" period which traditionally occurs at the beginning of regular Board meeting. At the April Board meeting when the town was discussing pedestrian safety in the wake of the tragedy on Main St a few weeks ago, Mayor John Woods indicated he had a good working relationship with the "Chair of the whole department" (referring to NCDOT) and could use that influence to get them involved on the Downtown crosswalk issue they were discussing at the time. Assuming the Mayor meant NCDOT Secretary Tennyson, here's also hoping the Mayor can use that influence to ensure someone from NCDOT shows at the May meeting to hear citizen concerns. Remember that feeling you had the first time you jumped off the high dive into the deep end of the pool? The thought "maybe I didn't think this all the way through!?!?" probably flashed through your mind. 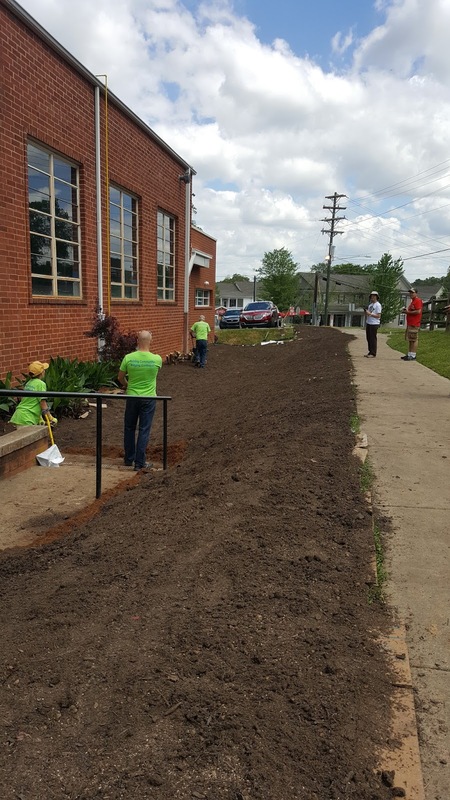 There was a moment during the discussion Tuesday night on Davidson possibly conducting its first ever "general obligation" bond referendum when you could sense that same feeling in the room. Davidson's Board was in the middle of a tutorial on the GO bond process when Commissioner Rodney Graham asked the town's bond counsel from high-powered law firm Parker Poe for advise on how Davidson should structure the bonds to help ensure passage. The response was that town officials typically have their finger on the pulse of public opinion and know when things will pass or when they are in trouble. One got the distinct feeling in the room that may not be the case in Davidson. Maybe it's the lingering bad feelings over the Mi-Connection decision which has put the town in the position of needing to look at bonds in the first place. Or maybe, it is the more recent swirl around the Catalyst Project and the surprising amount of pushback from residents. That seemed to catch Town Hall off guard and could certainly feed into uncertainty on the idea of bonds. The Town has a lot of decisions to make in a big hurry if they want to put a good proposal before voters this November. The man from Parker Poe outlined a series of steps that need to occur and those need to start in June. The bond counsel mentioned in other towns he'd seen efforts to have public input on forming the list of projects. It doesn't seem like there is time to complete something like that now. So, Davidson will likely depend on previous documents such as the "Walks and Rolls" plan or the ever present Comprehensive Plan. However, when you get down to talking about spending real money on real projects - not just hypothetical plans - and you want to raise taxes to do it, that certainly may not be enough. Bonus Observation: According to NCTreasurer.com, municipal bond referendums have a solid record of passing in November elections across the state in recent years. One example where one failed recently was in Bald Head Island where a bond for a "broadband system" failed. One has to wonder what would have happened if Davidson had put Mi-Connection to a vote back in 2007. If they had, we might not be talking about bonds and higher taxes now. 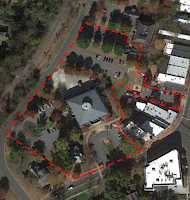 On March 31st, Davidson sent out an RFP for the latest effort out of the Town Affordable Housing department - selling off 2.3 acres of prime real estate in the Bailey Springs neighborhood. aShortChronicle has obtained a copy of the RFP and the list of RFP recipients. It's an eye opening read. "The Bailey Springs affordable housing project is the first of its kind undertaken by the Town. The project area, as shown on Exhibit A, encompasses approximately 2.3 acres and is located in the middle of the Bailey Springs neighborhood facing Bradford Park Drive. It is less than a mile from Hough High School and within two miles of Bailey Middle School. The foremost objective of this project is to provide high quality and attractive homes targeting households with incomes that range from 50% to 120% of the area median income. The original vision for this property was eight bungalows, with three apartments each, for a total of 24 units. ... The project was not eligible for low income tax credits due to its contiguity to overhead power lines, lack of public transportation, and limited access to service centers. Although the property has infrastructure to support eight bungalows, or 24 apartments, this RFP is not limited to a particular number of homes." Two things stand out in this description. First is the size. The project could be rather large with the area having been previously approved for up to 24 units. This will be additional volume to the 306 home West Branch neighborhood in the same area. Second, the conditions which killed the previous projects still exist - particularly the lack of mass transit or service centers in the area. The project is apparently intended to be for sale units rather than rental. In response to a question about that point Affordable Housing Director Cindy Reid said "the Town prefers an ownership model because it will be more suitable to the neighborhood." What's interesting about this response is that the town was just recently pushing for rental affordable housing in the Bradford neighborhood just across Davidson-Concord Road. The plan moved to for purchase units only after strong pushback from the neighborhood. While the town is saying it prefers owner occupied units, at the same time it has told developers who received the RFP that proposals containing rentals would not be considered a "non response". That point is definitely something to keep an eye on going forward. But maybe the most interesting thing about this project was the list of recipients. This wasn't broadcast far and wide which might ensure the town gets the best offer. Instead the list of RFP recipients includes several local names. That's not necessarily a bad thing, but interesting nonetheless. Jay Johnstone with Artisan Homes was on the list. That’s interesting considering Johnstone was involved in the 2014 lawsuit challenging the town's affordable housing ordinance. In this piece from the Lake Norman Citizen it said Johnstone's firm would “challenge the legality of the Town of Davidson’s Affordable Housing Ordinance” unless the town waives affordable housing requirements. Other documentation related to that lawsuit would also appear to indicate the belief the ordinance lacked "enabling legislation to support it." Ultimately, the lawsuit was settled before trial so there was no legal judgment one way or the other. When asked about the somewhat ironic situation of being on the short list for this RFP after the lawsuit Johnstone replied with the following. "The lawsuit with the town was never about legalities of affordable housing. It had more to do with expediting a fair agreement for both parties involved. Ultimately the Town of Davidson and Artisan/Knox LLC agreed amicably and have discussed future projects. We have a good relationship with the town and actually gave suggestions during negotiations as to how the affordable housing component could be implemented better." Johnson went on to say that his firm is still assessing the Bailey Springs situation, and if the numbers work they may submit a proposal. The other interesting name was that of Davidson Commissioner Rodney Graham. Yes, a sitting Commissioner received a request to seek possible business developing town owned property. "I don't plan to submit a proposal, so that's an easy one. There were a number of builders who received the RFP who I think would be much more competitive than us for this type of housing. I'm anxious to review the proposals based on my expertise in this area, but that is the extent of our involvement." Responses to the RFP are due back by the end of May. They will head to the town's Affordable Housing Committee and then to the Town Board. Affordable Housing is always a hot topic when it comes down to the brass tacks of putting it in an existing neighborhood, and this instance likely won't be any different. We originally incorrectly reported a deficit of $3.5 million. Accordingto new information provided by the town the correct number is $3.0 million. The below has been updated. Based on numbers just confirmed from Town of Davidson Finance Director Pieter Swart, Davidson's total obligation to MI-Connection in the upcoming fiscal year starting July 1st will be $914, 902. Under the current inter-local agreement with Mooresville, Davidson is responsible for 30% of the deficit. That brings the total amount of subsidy required to $3.05 million. Davidson's annual cash payment is capped at $1 million with Mooresville covering the rest. 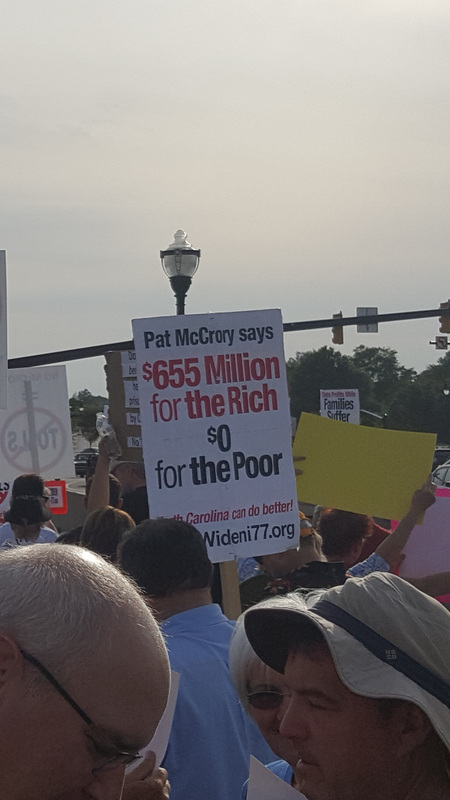 Any amount not covered by Davidson accrues and the current amount owed Mooresville is $1.77 million. Davidson currently has $1 million set asside towards this debt. Improvement is always good, but there is still a long way to go. At this rate of improvement, Davidson will owe the $1m per year for at least the next couple years (including FY2017) to cover current year debt each cycle and cover the unfunded $700k owed to Mooresville. After that, the annual amount could drop significantly below $1m per year. As reported earlier, Davidson will be discussing its upcoming budget on Tuesday. Will be interesting to see how this plays into the discussion. It's the places that make Davidson "different", not the toys. 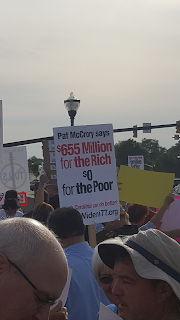 At a recent town meeting at the Egg when a question was asked about Davidson's high tax rate compared it its neighbors in North Mecklenburg, the response was that Davidson was "different". 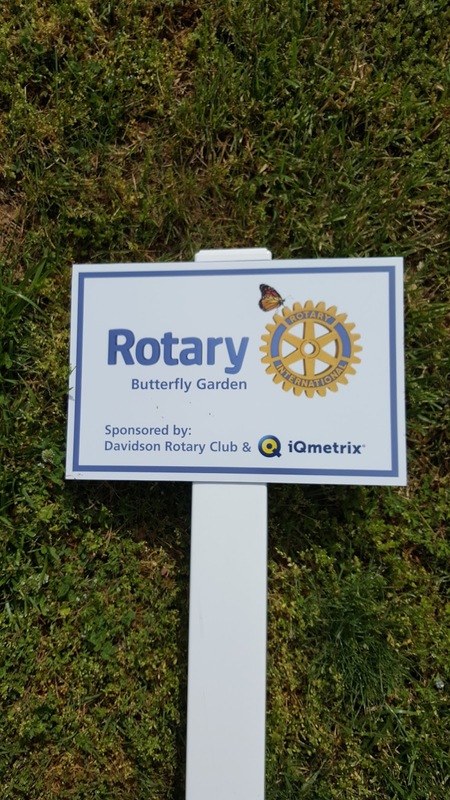 Davidson certainly is different than many places, but it's some of those "different" places around town and the people involved that make it special. It's not the high taxes or the things those dollars buy that make it that way. and the tribute to Prince inside it. 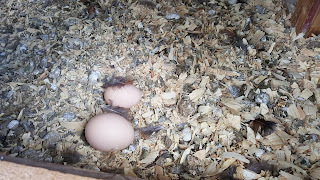 to check on the chickens with the kids. Davison Town Hall has a new toy!!! The Davidson ELF, or Electric Light Fun, vehicle made its public debut at the Farmers Market on Saturday. 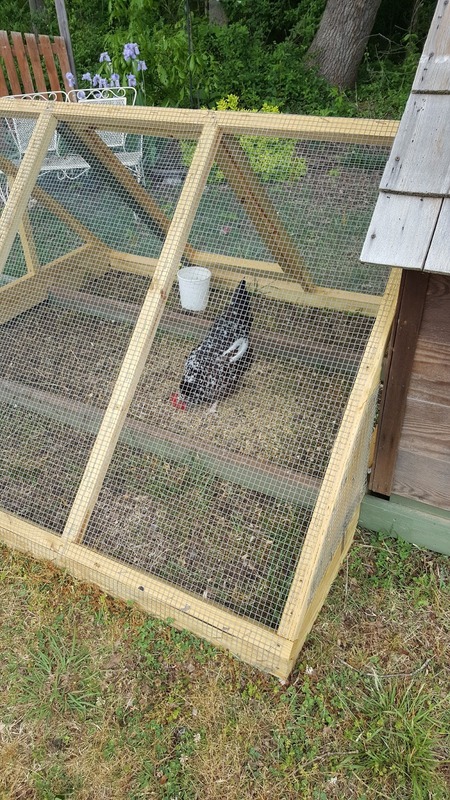 It's one of the newest purchases for the town's Parks and Recreation Department. The two seat recumbent bicycle supposedly can reach speads up to 18mph. 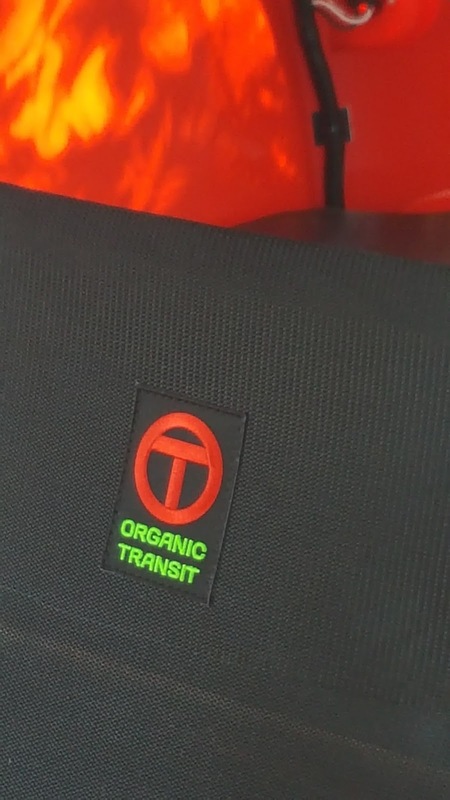 That's a pretty good clip for a bike, but the ELFcertaonly won't be taking the place of any town owned cars. 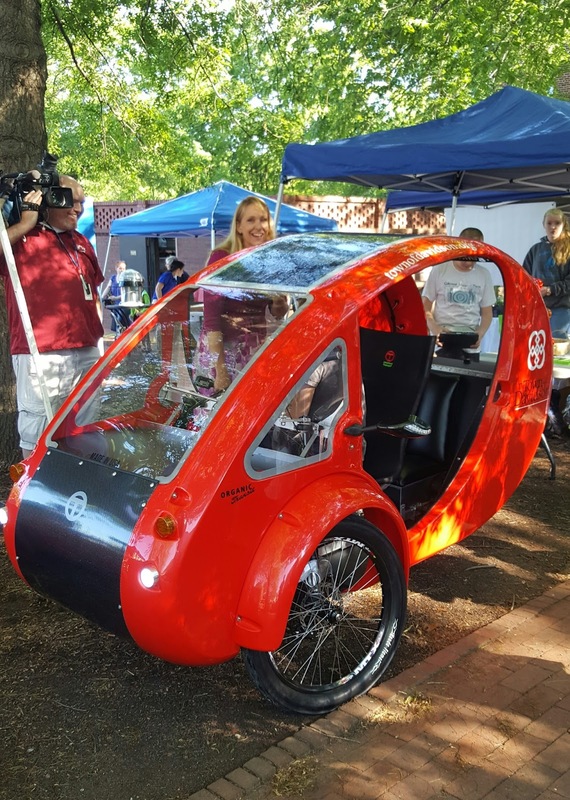 line item of $10,000 for purchase of a "solar and pedal hybrid vehicle and storage". Yes, you read that correctly - $10,000!?!?! 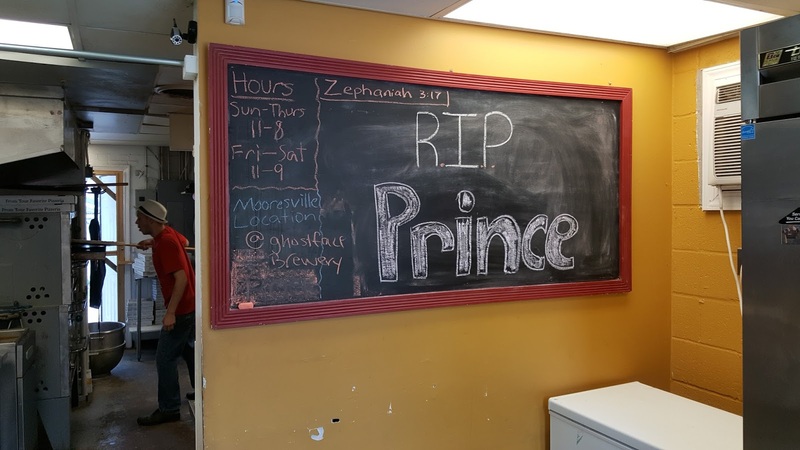 The town was having a naming contest at the market, so we thought we'd throw out our entry. Other People's Money always spends fastest! Public Works had requested a pick up truck last spring for this year's budget as they were one short. P&R had a truck as our lone department vehicle but I felt it would be better utilized in Public Works. Public Works has been using the previous P&R truck since March, 2015 and was able to eliminate that request from this year's budget request. 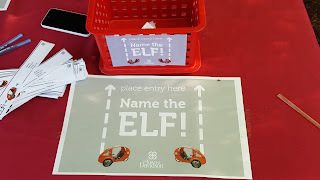 The advantage of the ELF for P&R is not only can we use if to get to town hall and to meetings around town (our main use of the truck when we had it) but we can also take the ELF on greenway. The $10,000 budgeted also covered the small shed which has been placed behind our office, which, in addition to securing the ELF, has provided some very helpful additional storage for our department. #Davidson Budget 2017 - Will taxpayers ever see relief from Mi-Connection? Davidson Commissioners meet this coming Tuesday for a packed work session agenda. Conflicts of interest has been a hot topic here recently at aShortChronicle. Commissioner Jenest has asked to be recused from votes twice in recent months regarding his involvement in the West Branch Project. A review of that topic by soon-to-be-former Town Attorney Rick Kline will be covered in the 4pm "pre-meeting". The town put out an RFP for Kline's replacement back in February with responses due in early March. Per the Town Clerk last week, 6 responses were received, but there is no time frame for a decision. Let's hope when they eventually do decide on a new municipal attorney, they will find someone without their own conflict of interest issues to advise the town. In his private real estate law practise Kline has regularly advised major developers in town over the years - a situation that often raises eyebrows. Having him advise Commissioners on the subject always has more than a hint of irony to it. In the main meeting which starts at 6pm, Commissioners will have two discussions on major financial topics. First, they'll hear a presentation from their "Bond Counsel", law firm Parker Poe. This will cover the General Obligation (GO) bond process. Interestingly, the agenda item mentions covering "education vs advocacy". Government officials (elected or staff) are not allowed to advocate for voter approval of GO bonds. It is actually illegal for them to do so. They can only educate. When GO bonds were discussed by the town's bankers back.in March, they had to be reminded of that fact. At the time Mayor Woods made a comment that typically a non profit does the advocacy to get around that law. Once the Commissioners get through their bond coaching session, they'll take the first in depth public look at the next budget. The most interesting thing that jumps out is the town commitment to Mi-Connection. The town still has the $1 million per year that has been there for the past few years. 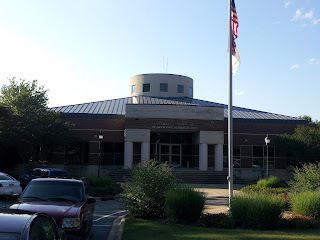 However, this year it appears the town will no longer be setting aside any money to fund its unfunded additional obligation to Mooresville on its Mi-Connection debt. Under the current agreement, Davidson pays up to $1m per year toward its 30% portion of the cable company subsidy. Mooresville covers the rest. To date Mooresville has covered a little over $1.7m for Davidson. At the same time, Davidson has been setting aside money each year to pay back Mooresville at some point in the future. That account is now up to $1m. In this current fiscal year (FY2016) Davidson dropped that payment from $300,000 a year to $100,000. In FY2017 it will go to $0. Effectively, over 2 budget cycles Commissioners will have freed up $300,000 in general fund revenue from Mi-Connection. Yet, none of that will be returned to the taxpayers who have been subsidizing Mi-Connection. Instead, Commissioners will have spent it and will be going to voters to ask for more in the form of more debt and more taxes. Click HERE for the whole agenda this coming Tuesday. It's long been known that the speed limit on Davidson-Concord currently set at 45mph is too high for an area with multiple pedestrian crossings. The town has repeatedly said they've tried tow have NCDOT lower the speed, but NCDOT has refused. From their point of view it's still "rural". The following videos were provided to aShortChronicle showing multiple incidents at just one crossing. Does it look "rural" to you? Will anyone let this girl cross the road? 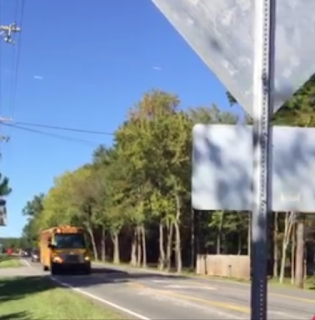 Does anyone not know you stop for school buses? Clocked at 50mph with no intention of slowing down? These videos all occur right near where the new West Branch neighborhood will be. That's the 306 residence development the town recently let sail through approvals without addressing the traffic study issues first, the one where a sitting Commissioner - Brian Jenest - is involved with the project. The town MUST do something about this before a truly dangerous situation becomes a truly tragic one. 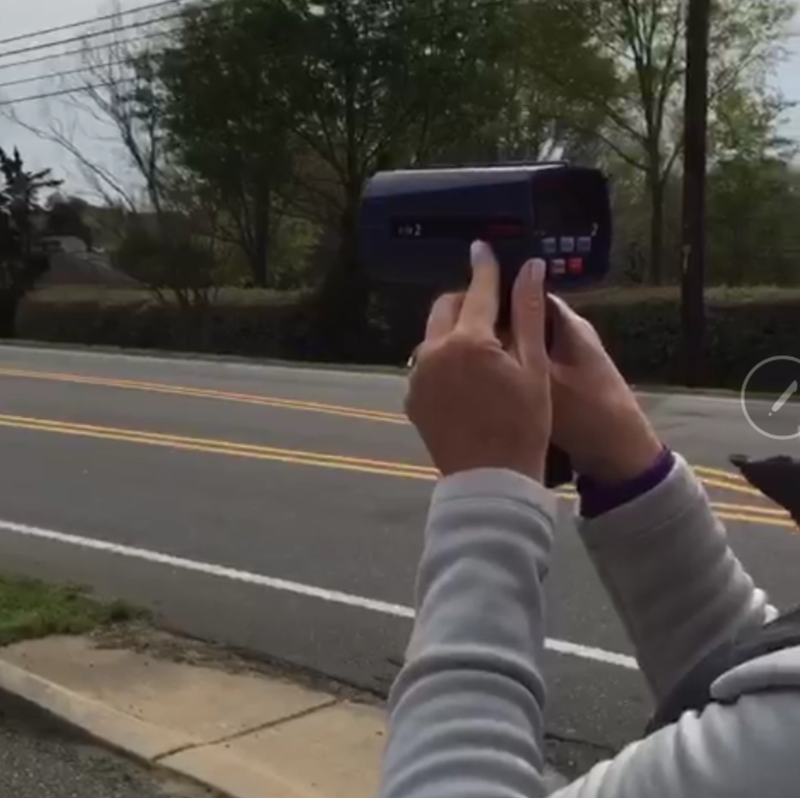 Update: From the videographer...Just so people know the last video is cut short because the phone was dropped as the moms ran into the street to try and stop the accelerating driver---sounds crazy right? But the squeaking you hear at the beginning were the bus brakes---children were starting to unload and this idiot was ACCELERATING 50+ MPH with kids entering the cross walk! Trying to beat the pedestrians! Davidson is in the throws of budget season and Commissioners have been discussing a large number of capital projects that add up to a very large dollar amount leading to a possible "massive" taxi increase for Davidson residents. That was the upshot of a comment I made on my Facebook page a couple weeks ago. Commissioner Rodney Graham took a bit of an issue with the use of the word "massive" and made this comment on Facebook about the pending tax increase. Commissioner Graham asked us to present facts when we have them, so here you go. 40 cents per day translates to about $146 per year for the "average" household. Depending on where you get your average number that's likely somewhere in the 3.5 cent - 5.0 cent range on Davidson's tax rate. That's 10% - 14.3% in percentage terms. That falls roughly in the middle of the range of possible tax increases in the scenarios presented by staff. The high end was 9.6 cents if the town bonded everything on its wish list. At 35 cents, Davidson already has by far the highest rate in North Mecklenburg AND by far the highest solid waste fee at $201 per single family home. Those two inconvenient facts often cause certain electeds to cringe when they are mentioned. From Commissioner Brian Jenest and Mayor John Woods those facts often elicit comments like "that's not a fair comparison" or "it's apples and oranges" or "Davidson is very different from its neighbors." But we digress....back to Commissioner Graham's comments. 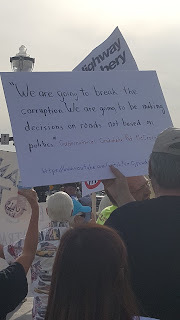 Since Graham made his comments on April 6th about a "agreement" between Commissioners on a tax increase, there have been two public meetings where this could have been mentioned but wasn't. 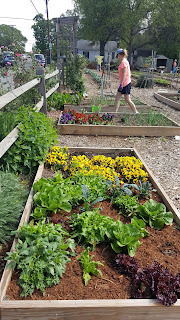 There was the April 12th Board meeting where they discussed new options for the Catalyst Project which could now involve significant public funding. There was also the Commissioner "chat" this past Monday discussing the various capital projects themselves and the possible funding options for them. In both cases, the idea of an exact tax increase amount was never mentioned. So, it seemed like a good idea to verify with Commissioners if there was any "agreement" in the works behind the scenes. Two responses were received to an email request for that verification on Tuesday. The first was from Commissioner Graham himself walking back his earlier comment. "I will clarify my comment on your facebook page. That was solely my opinion. I was incorrect to use the word agreement as that implies a written document that was voted upon, and it further implies that I was expressing an opinion of the entire Board when I was only expressing mine. I enjoy participating in any discussions but need to be more careful in clarifying when opinions are only my own. In general yes I think any significant indebtedness that the Town undertakes should be voted upon. 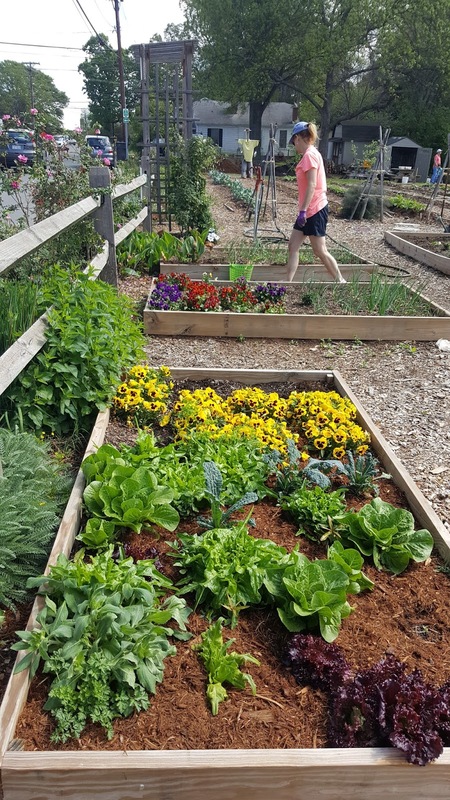 Personally I would not see parking or town facilities being treated any differently than parks, roads, sidewalks and green ways.but that's only my opinion." Commissioner Stacey Anderson was pretty straight forward in her response to the idea of an agreement. "I am not sure what Rodney is referencing in his Facebook posts." So, there are the facts we wanted to present -since we had them. No "agreement" on what would be a reasonable tax increase has been voted on or written down among Commissioners. It's good to know because that of course would mean a violation of open meetings law if it had occurred in a closed meeting. Glad to know that didn't happen! Then again, one has to wonder why a Commissioner would even think of using the word "agreement" if rather specific discussions hadn't occurred leading to such an opinion. If there's a good thing to take from this its that at least one Commissioner thinks these big ticket items should be voted on by the public if they do go forward. Ultimately, that would put the decision in voters' hands...and, nullify any "agreement" between Commissioners even if one had occurred. When aShortChronicle ramped up a little more than 4 years ago, where it would go was a big question mark. I honestly had no idea. Would anyone read? Would I have the stamina or commitment to keep this thing going? Those were questions that didn't have answers - yet. Now, after recently passing 500 posts, the answer to both questions would appear to be "yes". That's been a pleasant surprise to yours truly on both counts. It's interesting though how both of those answers came about. The answer to the second question came first. The answer to the first question came in large part due to things outside my control. Finding things to write about has turned out not to be an issue. Politics may seem to be an exercise in randomness, but actually it's very scheduled. There are election cycles at various levels of government. Shedules exist for campaign finance reports. Budget season occurs with known time frames. Dates for Legislative sessions are known well in advance. Throw in the near constant stream of craziness (much of which appears random but really isn't) that occurs at all levels of government, and there is more than enough to fill endless blog posts. The challenge is finding time to do it. Coffee and sleep deprivation help with that. For the first three and a half years, it was about what I expected. Not many more people than a few activists, local government types, and some news junkies were regular readers. Did that make it worthwhile? I'd like to think it did. There were a few examples here and there which seemed to say the overall message was getting through. Davidson abandoned the idea of 4-year staggered terms. That was a hot button issue for the site early on. The town has done a better job at being more transparent. One example, almost all meetings are live streamed. That's an idea we've championed for a good while. 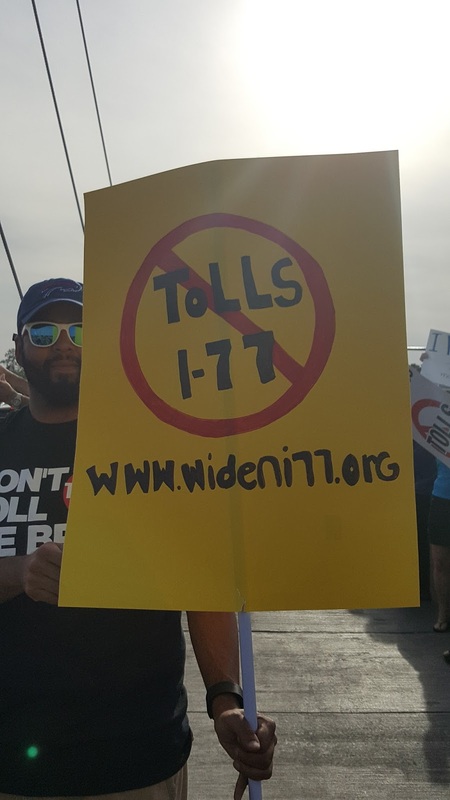 More broadly, many of the stories written on the I77 HOT Lanes project have received thousands of hits. Certainly, some points raised in those posts have seeped into the larger conversation. Those types of little wins do make it worth it I think. But again, would people read? The answer to that is now "yes", but the events behind that largely occurred outside my control. First, about 18 months ago Craig Moon who owns Lake Norman Publications asked me if I'd be interested in doing a weekly column to appear in the Herald Weekly (and sometimes the Mooresville Weekly and Denver Weekly as well). It was an interesting proposition, and I am glad I jumped at it. Moon told me this when we were discussing the idea. Some people will like what you write and will read every week. Some will hate it, but they will read every week just to see what you said. Either way. They still read. The paper has been great to work with over what is now a pretty significant amount of time. People often ask if the paper tells me what to write. The answer to that is a resounding "no". In fact they've never told me what to write or that I couldn't write about a topic. They've printed every colimn I've sent into them - even ones I thought they might not. One thing is interesting about the paper though. It did not impact the blog readership much. I thought it might, but it didn't. What has impacted blog readership over the past year were two other cyberspace events - DavidsonNews.net shutting down last May and the explosion of the Exit 28 Ridiculousness (E28R) Facebook group. When DavidsonNews.net ceased publishing, aShortChronicle saw a big uptick. People needed their online news fix and some must have gotten it from the blog. I once spoke to David Boraks about covering Davidson town hall. He said those were not DNNs most widely read stories, but I guess those who were reading them landed here - at least some of them. E28R with over 6,000 members provided a ready made readership for a lot of the stories featured here. Obviously, the most important topic has been the I77 HOT lanes, but that group also has lots of people who are passionate about impactimg local politics. Many of the stories about government shenanigans of all types are well received. So, what's the point of this now too long post. I guess it's this. Find something you are passionate about doing. Pursue it with goals but no expectations of an outcome, and good things will likely happen along the way. Pedestrian safety was a topic of discussion at last week's Davidson Town Board meeting. The topic also came up briefly at the "Commissioner Chat" at the Egg this Monday. In light of the fatal accident on Main Street a couple of weeks ago, Davidson is in need of some good news on this subject. Fortunately, some may be on the way soon. According to the town's Public Works Director, Doug Wright, NCDOT is looking at changing the signalling on the three crosswalks right in the town center. They will be implementing something called a Leading Pedestrian Indicator or LPI at these intersections. An LPI allows pedestrians to cross before autos receive the green light. These are set depending on the width of the intersection, but usually last up to several seconds. The town plans to ask for a complete stop of traffic while pedestrians cross, but that may be too difficult to get through NCDOT. Wright indicated however that NCDOT did appear to be moving quickly on the more limited LPI request. While not perfect, something is definitely better than nothing in this situation. Anything that makes Main Street safer will definitely be a welcome improvement. As of last week, no date was available on when this would go into effect. 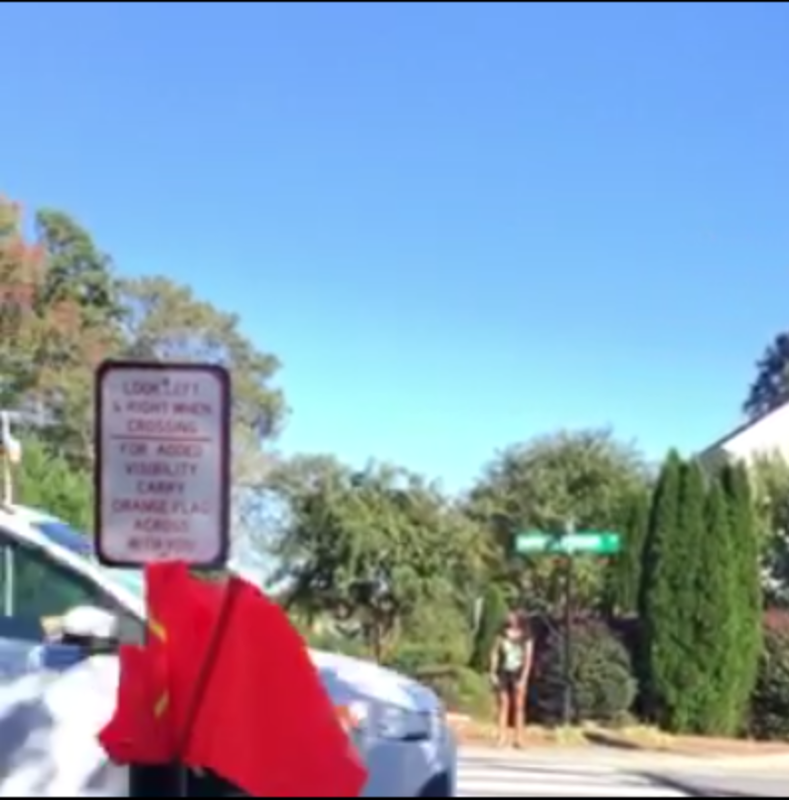 Are the "good guys" winning Davidson’s Catalyst Project debate? 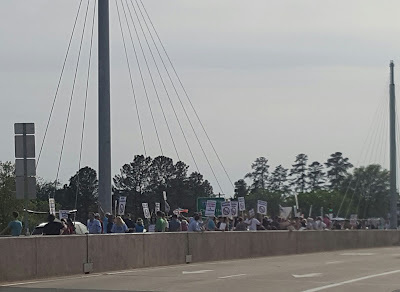 In this case, the "good guys" would be town citizens who oppose the project, and judging by last week's discussion at Davidson Town Hall, the answer to to this post's title question appears to be a resounding "yes". Five options were presented to the Town Board for discussion last Tuesday. In those options, there were several indications that the Birkdale-esque proposal rolled out last October is DOA, or at the very best it's on life support. Most notably, none of the options included a hotel of any size. The addition of a 100+ room hotel in the October presentation provided the initial spark that ignited citizen pushback on the whole idea. When asked about the absence of a hotel in the list of ideas, all Town Economic Development Director Kim Fleming had to say was "currently it is not part of any option that we are studying." As for the ideas that are on this list, they range from doing little more than moving police and fire off site and keeping administration at Town Hall to options with varying levels of intensity all of which were less intense than the earlier ideas presented. Though to be fair, the largest ideas on the table would still be too big for many people in town. They would still include significant residential numbers on the order of 100 units. Commissioners also seemed keen to distance the current discussion from the earlier Catalyst Project proposal. At one point Commissioner Beth Cashion said three times that discussing these new ideas and asking the project consultants to look at them further does not commit the town to anything. She was emphatic on that point. Commissioner Jim Fuller pondered whether or not the new ideas should even be called "Catalyst" because they are so scaled back. One tangible impact of reducing the size of any project on the town owned property is how it would be funded. Initially, the Catalyst Project was talked about in terms of a Public Private Partnership (P3) where there was little public funding involved other than the land. At the meeting last week, Flemming mentioned that it was now looking like more of a publicly funded effort. To that point Commissioner Rodney Graham asked if the consultants from the UNC School of Government could get back to the town in short order on the new options so the information could be incuded in decision making for the new budget year starting July 1st. If any new version of the Catalyst Project goes forward as a primarily publicly funded effort, that would likely mean using some general obligation bonds requiring voter approval. That would seem to put the "god guys" - aka the voters - in the driver's seat, and that certainly would be a good thing. This is ot over yet, however. The project definitely needs the public to stay focused. It's not anywhere near fully resolved, but things do appear to be headed in the right direction. SlingTV, the OTT service launched last year which directly competes with cable for your TV dollars, is at it again. Having just survived March Madness without major issues - unlike last year when it suffered embarrassing outages - the company is now addressing two of the biggest knocks against the services features. Since its launch, Sling TV has only provided single stream support. That means only one devise could be connected at a time to a given account. If you are watching the game on ESPN and your spouse fires up SlingTV on their phone to watch the news on CNN, the first stream drops. Well, going forward this won't be a problem. A new multi-stream version of SlingTV that supports up to 3 streams is in beta testing. The other knock against SlingTV versus cable is that it doesn't provide local programming. While this is easily remedied using a digital antenna, it is something that OTT providers are looking to address. In this same beta version of SlingTV, several Fox channels will be provided including some local stations where the Fox network directly owns the local affiliate. Charlotte is one of those affiliates. There is one very notable difference between this beta version of the service and the current production version. The channel lineups are not the same. The multi-stream version does not include ESPN or the other Disney owned content. It's unclear is that's a permanent situation or if there are still licensing discussions ongoing. If that's a permanent setup, it will be a major drawback. If the price of multi-streams and local content is not having ESPN, that will be a huge issue for many consumers. Here's hoping that's just an issue while beta testing is underway. Bonus Observation: When 5G wireless service rolls out in a few years, the combination of OTT services like SlingTV and crazy fast wireless networks could/will allow customers to completely disconnect from local service providers like Mi-Connection. The day that happens will be a very bad day for the towns of Davidson and Mooresville if they haven't extricated themselves from the cable business by then. 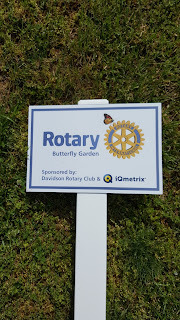 On March 22nd when Davidson Board members discussed possibly funding a broad list of spending projects, a proverbial elephant in the room loomed over the discussions. That elephant was named Mi-Connection – the town owned cable company operated with Mooresville. Actually, no that’s not correct. The more appropriate metaphor is the 800lb gorilla. An elephant in the room is something people avoid discussing even when it’s obvious. The 800lb gorilla is something that can’t be ignored. Mi-Connection and the 2007 decision to enter the cable business is definitely an 800lb gorilla when discussing major financial decisions in Davidson. 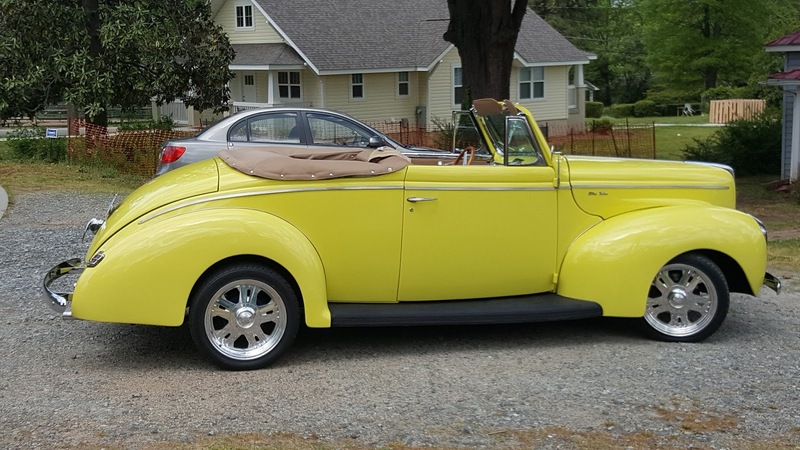 Early in the March 22nd discussion on the town possibly seeking voter approval to float general obligation bonds for several million dollars, it became clear that any proposal would likely require some future tax increase. 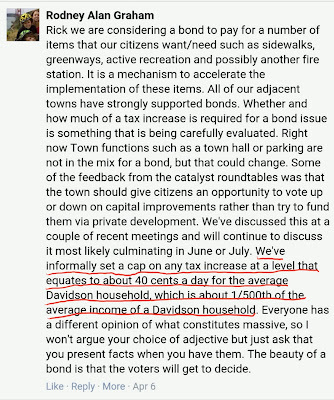 From the point Commissioner Jim Fuller asked how Davidson’s tax rate compared to its neighbors, one could sense a bit of Mi-Connection related tension in the air. Mayor John Woods attempted to blow off tax rate comparisons calling them “apples and oranges”. Fuller responded saying “if you are a citizen paying taxes it seems like a pretty fair question”. Woods, incidentally voted for the Mi-Connection deal when he was a commissioner back in 2007. Mi-Connection came up several other times throughout the discussion. It came up in questions about the financial model used to determine the town’s potential credit rating. Yes, the model included factoring in Mi-Connection, and Davidson still might receive the highest rating of Aaa from the ratings agencies. It came up when Commissioner Anderson through out the possibility of lower Mi-Connection subsidies in the future helping the town avoid tax increases to support bond payments. Yes, that could be possible, but the model assumed the current one million dollar annual subsidies would continue for another ten years. This focus on Mi-Connection might seem overblown to some, but its impact is very real. Here are a few numbers to put things in perspective. 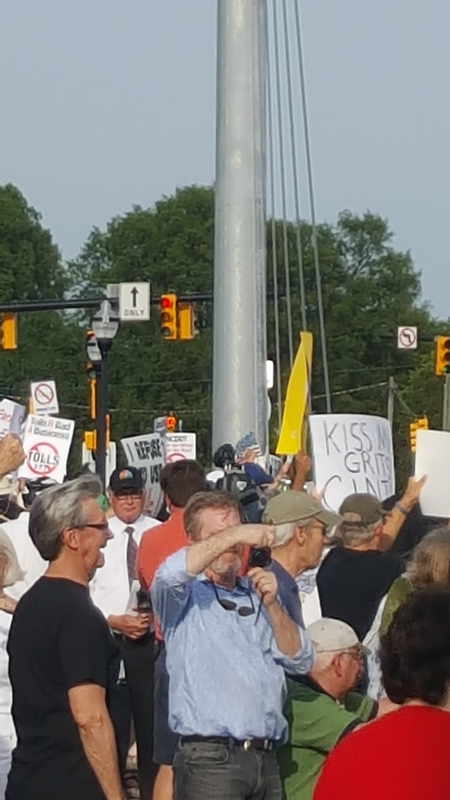 • Since 2010, Davidson has allocated $9 million in direct subsidies or in money set aside to pay Mooresville deferred obligations related to Mi-Connection. That’s spending capacity that could have gone to building things like a new fire station, new sidewalks, or new greenways. • 6.1 cents of Davidson’s 35 cent tax rate in the current fiscal year is going to Mi-Connection. 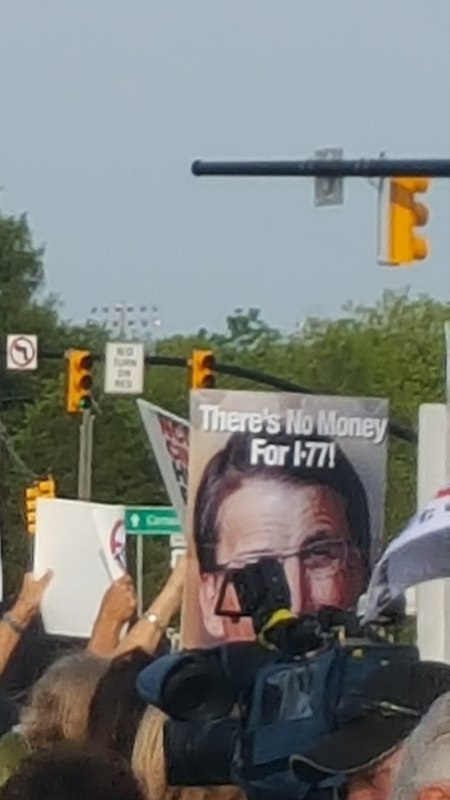 Everything else being equal, Davidson’s tax rate could be lower than Huntersville’s (30.5 cents) and much closer to Cornelius’s (24 cents) if it wasn’t for this added Mi-Connection “tax”. • The current subsidy equals about 11% of the town’s general fund spending. While that sounds like a lot, its down from a crippling 23% back in 2011. • Finally, there is a second hidden tax related to Mi-Connection subsidies - Davidson’s solid waste fee. Many towns include trash pickup as part of your property taxes, or they have modest additional fees. Davidson’s fee is a whopping $201 for a single family home. This high fee was implemented in Davidson at the peak of the subsidies freeing up cash to support the cable company. 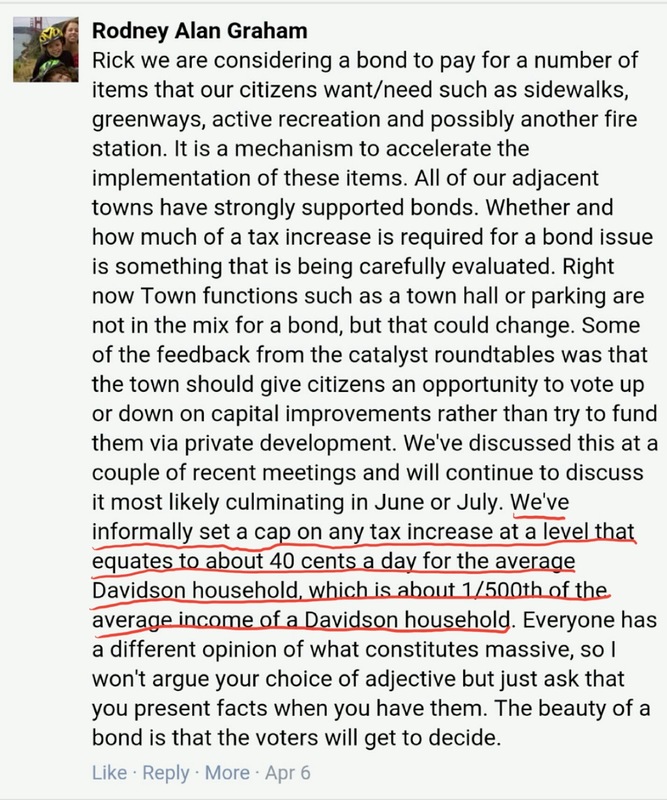 If you put yourself in the shoes of a Davidson citizen who lived through those bullet points, it’s easy to see why people might be a little gun shy at proposals that talk about raising taxes. While wearing those shoes it’s also easy to overlook potentially good news like Davidson still possibly receiving high marks from credit ratings agencies. That’s a testament to the good work elected officials and staff have done managing this bad situation. At the same time, people also know in the back of their minds that much of the current talk about things like bonds and debt and even something like the controversial Catalyst Project which stands to bring in a good bit of money to the town, might not even be on the radar if it wasn’t for Mi-Connection and its wasted millions. To resolve those types of trust issues, Davidson Town Hall may have to directly and fully deal with that 800lb gorilla before it finds town residents willing to extend their trust again. This post originally appeared in the opinion section of this week's Herald Weekly at HuntersvilleHerald.com. 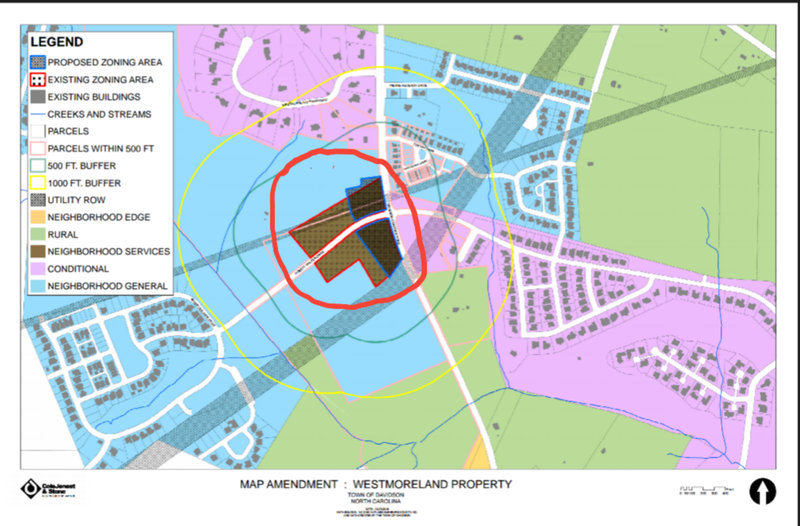 In addition to the hard to watch and confusing discussion about recusing Commissioner Brian Jenest from voting on a rezoning impacting his project, a second weird thing occurred on the West Branch rezoning request. During the presentation about the request to reduce the size of the project's commercial area, the Town tried to convince the audience that the request didn't even come from the project. No, the town now wants residents to believe the request actually came from the town Planning Department. On multiple occasions, Mayor John Woods and the town Planning Director made reference to such. The problem? 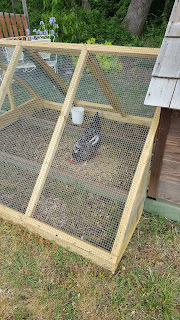 That doesn't jive with recent facts or the history of how this project has unfolded on the Westmoreland Farm property. Here's a the language from the zoning request public hearing on the town website when this came up in March. "The Westmoreland family has requested a map amendment to the Planning Areas Map to reduce the size of the Neighborhood Services designation. The proposed amendment would designate +/-7.1 acres as Neighborhood General (previously designated as Neighborhood Services)." As can be clearly seen, the Westmorelands requested this. That was put on the town site just one month ago. Now, the town wants the public to believe this originated with the town. But that's not the most interesting thing that conflicts with this storyline. Below are two maps. The first is the West Branch plan submitted by Commissioner Jenest's firm. The second is the map for the zoning change approved Tuesday night. Notice that the size of the West Branch commercial area in the first map matches the smaller dark brown area on the second map. The developer plan assumes this rezonig will go forward. The larger light brown area on the second rezoning request map shows the commercial area prior to the request. Now take a look at this map. This is what's called a "bubble diagram". It depicts what could be built on the Westmoreland Farm property. It was sent to the town by ColeJenest&Stone way back in January 2015 - a full year before the West Branch project was submitted. This was before last year's planning ordinance rewrite passed in April. Commissiner Jenest voted for the rewrite. 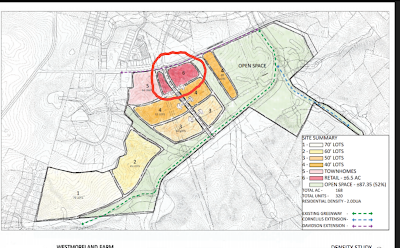 Notice the size of the Commercial area in this picture - 6.5 acres - much closer to the amount in the rezoning request than the 12 acres included in the April 2015 planning ordinance rewrite passed months after the bubble diagram was received. In fact the entire West Branch project submitted in January 2016 looks similar to this "bubble diagram" - right down to the amount of open space. If town staff wanted the commercial area to be smaller, if it was their idea, why did it not make it into the April 2015 rewrite? Why did it not get recommended by staff for 9 months after the rewrite while other map amendments went through last fall? Why did this not come up until the West Branch project - a project that involves a sitting Commissioner - submitted a rezoning request - a request that looks very much like the bubble diagram that Commissioner's firm put together a year earlier? 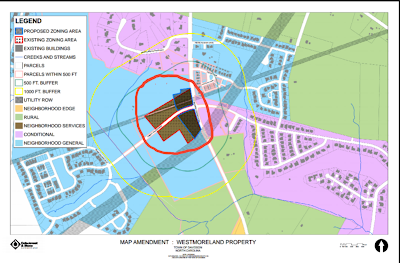 Incidentally, per a public records request made last year, just one week after the Planning Ordinance rewrite passed on April 15th, 2015 a representative of ColeJenest&Stone contacted the town with a number of questions about the property, saying...."We are working towards a schematic site plan for the Westmoreland property along Davidson-Concord Road and have a few questions/requests" . The firm was already master planning the property - one week after the planning ordinance rewrite - a rewrite that impacted this property - passed. It is unclear why the town felt the need to suddenly indicate this rezoning was all their idea. What is clear is that having elected officials so heavily involved in the development business is messy. West Branch rezoning passes. Conflict of interest discussion not pretty. Tuesday night, in a not totally unsurprising move Davidson's Board unanimously passed the rezoning request for the new West Branch neighborhood which greatly reduced the size of the project's commercial area. While one could have hoped the Board might have taken the opportunity to minimize the project's impact on pedestrian safety, they chose not too. What was surprising was the discussion leading up to its passage. Davidson's Board actually debated whether or not Commissioner Brian Jenest should be recused from voting on the rezoning. His firm, ColeJenest&Stone, is doing the project design!!! What was there to debate!?!? If there was anything positive about that whole discussion it was that many more people than usual actually saw it in person. The room was pretty full and the governmental sausage making was on full display. At one point commissioners were dancing around the meaning of the word "substantial". As in "was the financial impact substantial enough to Commissioner Jenest to allow him to be recused?" Commissioners wanted to know if it was substantial but none were willing to ask Jenest how much his firm was paid for the project. Frankly, that’s a question that probably should have been asked. In the end though, they did allow him to be recused. As painful as it was to watch, at least they ended up in the the right place. The Board should be able to do better on this kind of thing. Here's hoping they eventually figure out how to do that. At Tuesday evening's Town Board meeting in Davidson, there will be a discussion of the current options on the table. This comes after the recent series of roundtables that attracted 275 participants. The discussion has been buried as the last item on a very long agenda. Intentional or not, that will make it difficult for many people to attend the entire meeting. It is imperative that folks who are concerned about the project attend if at all possible. The meeting starts at 6pm, but if you are there by 7pm you likely won't miss too much. You can also follow along on the streaming broadcast here to give an idea when to head to town hall. Being there in person for this discussion is important. On the positive side, it appears the the town may actually be listening to citizen concerns. None of the options on the current list include a hotel which was possibly the most controversial piece of the original plan. However, it was also recently bought to my attention that 2 elected officials made recent statements to the latest Civics 101 class that Davidson must "grow or die". With that kind of world view on the dais, it appears citizens still have work to do. Plan on coming to Tuesday's meeting with your thoughts. Doing "nothing" is still an option if the options aren't good ones. Here' the text of the memo for the discussion. There are many different program options when considering the downtown study. Listed below are 5 options that can be used for discussion when trying to determine the next steps in the study. These options are by no means final options. They should be used for discussion purposes. We would like to develop 2 options in addition to a “do nothing” option to compare the financial feasibility and trade-offs of each option taking into account public feedback. Public tennis courts in Davidson? East side park plan includes that possibility. Sunday afternoon, Davidson Parks and Rec held the first of the 2 scheduled public meetings for the possible addition and upgrades of park facilities on Davidson's East Side. 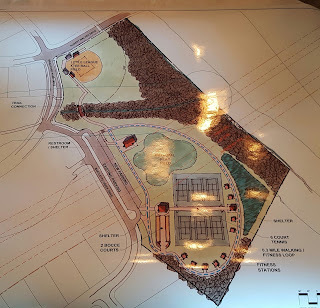 The meeting offered residents their first glimpses of proposed ideas for new park in front of the Bailey Springs neighborhood as well as changes to the existing park across Davidson-Concord Road in front of the entrance to River Run. 1. Remove the current tee ball diamond at the River Run site and move it across the road to the Bailey Springs site. This is necessary because the current location is actually in the Duke Power right of way and the dugouts are not really permitted there as a permanent structure. 2. Expand the size of the existing soccer field to make it regulation size. The current field is not quite full size. 3. Replace the tee ball field at River Run with something like sand volleyball courts. 4. On the back side of the soccer field closest to the Beaver Dam House build some sort of children's play area. 1. Add the tee ball field removed from the River Run side. 2. Add six public tennis courts. These would be the first in Davidson. In response to a question during the session, these courts would not be lighted per the deed restrictions on the land when it was donated for the park. Here are pictures of the drawings presented by the consultant working on the project. Parks and Recreation Director Kathryn Spatz indicated there was about $380,000 in budget for the immediate work. It was indicated that might cover moving the tee ball diamond, expanding the soccer field, and building three of the tennis courts. Completion of the work would come later. It was also indicated that none of the athletic fields in either location would ever be lighted. All in all, these look like nice additions to Davidson's East Side. West Branch Traffic Study leaves too many questions for pedestrian safety. At the proposed West Branch neighborhood Public Information Session at Davidson Town Hall back in February, one of the hottest topics and biggest concerns from attendees was traffic. Unfortunately, developers couldn't answer any hard questions on the subject at the time. The required traffic study was still in the works. Well, now the report is up on the town website. It is dated March 15th. See the full report here. When asked earlier this week what the town thought of the study, town Planning Director, Jason Burdette had this to say. "We’ve not had the opportunity to review the TIA yet. When we do, it will involve NCDOT since Davidson-Concord Road is state-maintained." 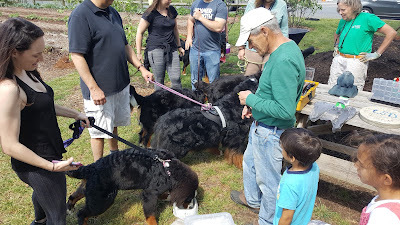 Considering that the Town Board is scheduled to vote next week on a rezoning request related to the project, we here at aShortChronicle wanted to take a look prior to that important vote. Our staff, aka concerned citizens, jumped right into the document. Here is the meat of it..
1. No safety improvements recommended for the area because of the West Branch project. "Based on the analysis results, minor impacts are expected by the proposed development. No queue issues are expected." Really?!?! Adding 306 houses - which is basically the size of the Bradford and Bailey Springs neighborhoods combined - will cause no impact. 2. The study also puts a price tag on safety. A roundabout was studied for the dangerous Robert-Walker/Davidson-Concord intersection, but it is too darned expensive. "Additional analysis intersection was performed using a roundabout as the traffic control at the intersection per discussions with the Town of Davidson. Analysis results that the single lane roundabout will operate efficiently under future build conditions. With a constant growth rate of 2%, the roundabout will operate effectively for 19 years before reaching capacity. Although the construction of a roundabout would accommodate future traffic needs, the conversion of this intersection to a roundabout is not recommended due to the high cost of construction, impact to neighboring properties, and the fact that no significant queues are expected at this intersection under build conditions as an unsignalized intersection." This is a very dangerous intersection which had a near fatality involving a pedestrian just three years ago. See here for that story. However, citizens are to believe it's too expensive to fix for a development that will undoubtedly make it worse. As for a roundabout impacting neighboring properties, that would only be River Run. Here's what Mickey Pettus the president of the RR-POA had to say about it. "I believe that our Association would strongly recommend a traffic light for that intersection to provide safe entry and exit of wheeled traffic to and from the West Branch and River Run. Alternatively, a roundabout is another means to accomplish the desired results. We recognize the efforts of our Town Commissioners to provide a safer pedestrian crossing of Davidson-Concord at the intersection. But, with the increase of retail and residential wheeled traffic at the intersection, we need to concentrate on the safer management of those vehicles as well." That sure doesn’t sound like making that intersection safer with a roundabout would be any kind of inconvenience, now does it? So how did the authors of this TIA come to these conclusions? Again, the "staff" here at aShortChronicle had some interesting findings. 1. The "peak" hours for AM and PM traffic counts do not fully include the start and end times for nearby Hough High and Bailey Middle schools. Thus, they likely are off somewhat. The pedestrian accident mentioned in the above link occurred outside this window with a Hough student. 2. While the traffic counts do include pedestrians and bicycle crossings, the counts are artificially low due to the times used. Weekday rush hour is not when pedestrians are mostly out and about in this area. Weekends would get significantly higher numbers. 3. The study explicitly says no other approved developments in the area impact the study. 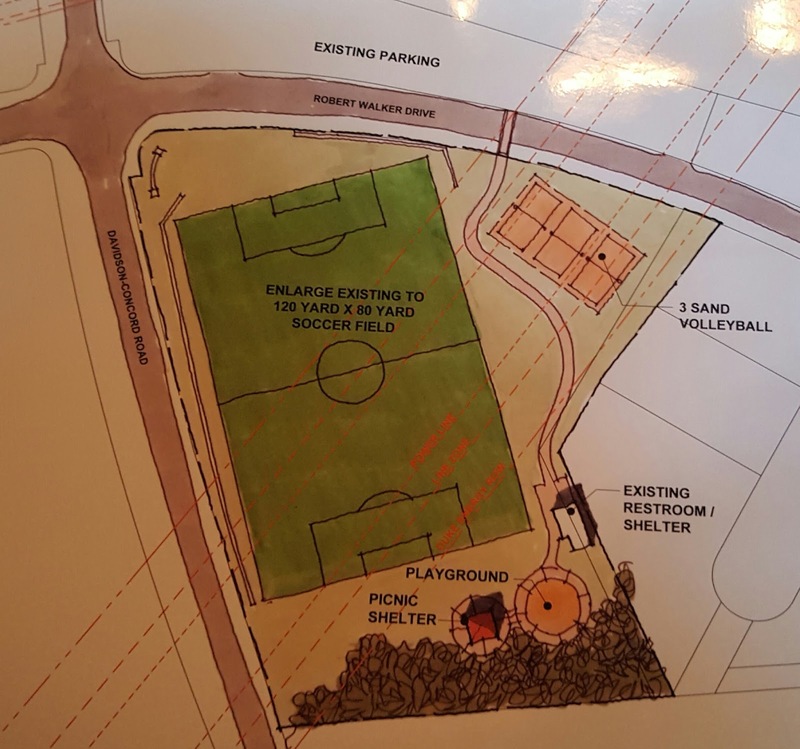 However the town is currently planning to push forward with the Bailey Springs park which could dramatically increase pedestrian activity in the entire area. 4. There is some question about the extent of the greenway along the frontage of the new development along Davidson-Concord Rd. If it does not fully cover the entire length of West Branch, that will significantly increase crossings of Davidson-Concord at Appollinaire and at Robert-Walker. 5. Anecdotally, residents who stand out waiting for the school bus in that area also say the numbers of trucks counted seem low based on their daily experience. These numbers will also be much higher during the years of buildout for West Branch. That increase should be accounted for as well. In summary, this traffic study and its recommendations do not appear to address the increased pedestrian safety issues caused by the scale of the West Branch neighborhood in this area. Remediating these issues will need to be addressed at some point, and the cost should not be externalized by the developers onto the town's taxpayers. Due to how this project has proceeded, Davidson Commissioners have limited opportunity to impact it. The one major card they hold is the approval of the West Branch map amendment scheduled for this Tuesday. Before they approve this map amendment, the safety concerns mentioned here or by other citizens need to be addressed. You can contact the Town Board at board@townofdavidson.org to express your own concerns. Close watchers of activities at Davidson Town Hall may experience a strange feeling of déjà vu at the upcoming town hall meeting where the new West Branch neighborhood on Davidson-Concord Rd may be discussed. For the second time, when the project does come up, Davidson Commissioner Brian Jenest is expected to seek recusal from voting on actions impacting the development where his firm ColeJenest&Stone serves as project designer. As of this writing the agenda for the April 12th Board meeting has not been published, but it is expected to include a vote on a zoning map amendment significantly reducing the size of the proposed commercial area for the project. One would certainly think Davidson’s Board would allow Jenest to recuse himself from a decision that directly benefits his project, but after what happened back in February when another decision related to the project came before the Board, one cannot be too sure. In that previous decision, by a vote of 3-1, the remaining Davidson Board members forced Jenest to vote on changing the historic designation of a significant portion of the projects’ land. Using rather convoluted reasoning Board members Graham, Fuller, and Anderson concluded that even though Jenest’s firm was working on the project, and that there could be consequences to the project if the historic designation change didn’t go through, they somehow decided it did not have financial impact to Jenest. In the interest of public faith in local government transparency, hopefully things will be different this second time around. Unfortunately however, it’s not uncommon for the town to find itself in discussions about conflicts of interest. Just last year, Commissioner Graham who is a developer and builder asked to be recused from a vote involving the town’s affordable housing ordinance. As has been written about in previous columns, the outgoing town attorney, Rick Kline, has done a lot of work for developers in town over many years. In 2015, he was asked by the Board to contact the state bar in relation to his activities particularly those involving the Bradford neighborhood. In fact, after the February vote regarding the change in the historic designation on the Westmoreland Farm property, one town insider contacted me saying if Jenest was recused “for every project he has in Davidson, he would never vote on anything.” While that’s a wee bit of an exaggeration, a quick look at the current projects on the town planning department website shows Jenest’s firm involved in no less than three current projects including West Branch. It would be nice if local officials never put themselves in these situations, but sadly, that’s not always the case. Now to be very, very clear, none of this in any way means any laws or rules have been broken on any projects. The folks involved are all smart people who understand the rules and what exactly needs to be done to stay within the letter of the law. How about this? If a member asks to be excused for what sounds like a reasonable reason surrounding a member’s financial interest, the Board should recuse that member. If the voters think a member has been recused too many times, they’ll sort that out. It would be great to see that approach implemented in Davidson starting with this pending West Branch vote. Will Town of Davidson officially oppose HB2?